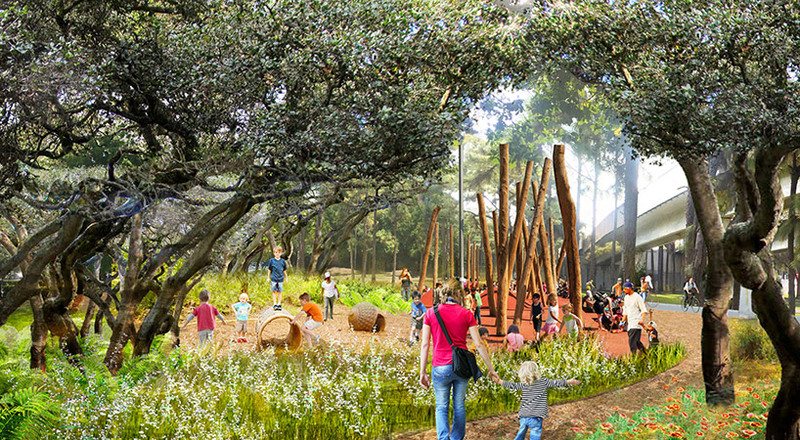 james corner field operations is a landscape architecture and urban design firm who is committed to the innovative creation of public spaces. 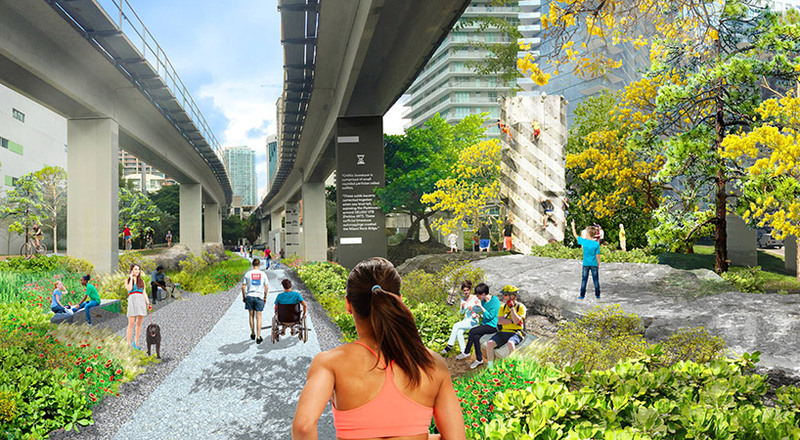 following in the footsteps of new york’s high line and seoul’s skygarden, miami is set to build a linear park of its own that will transform the land beneath part of the city’s metrorail. 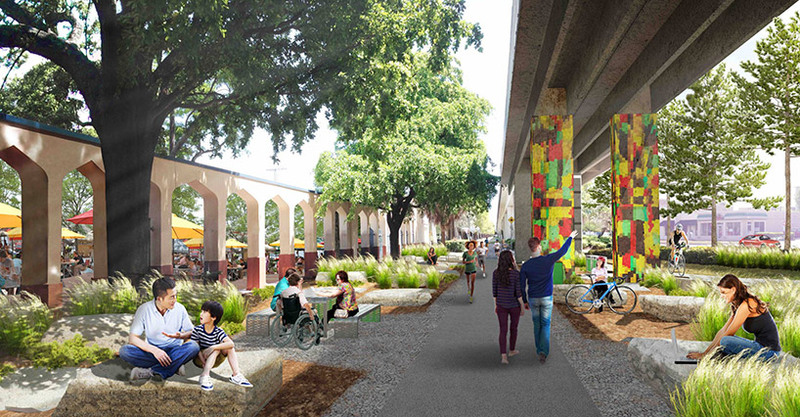 named ‘the underline’, the scheme is the brainchild of meg daly who, after breaking both her arms in 2013, walked under the elevated metrorail as she was unable to drive. 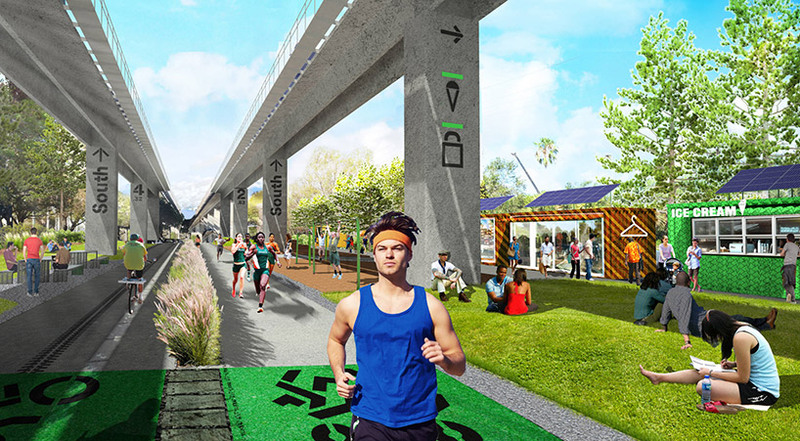 even though it was summer, daly noticed that she didn’t feel hot in the shade of the tracks and saw potential in the expansive urban corridor. 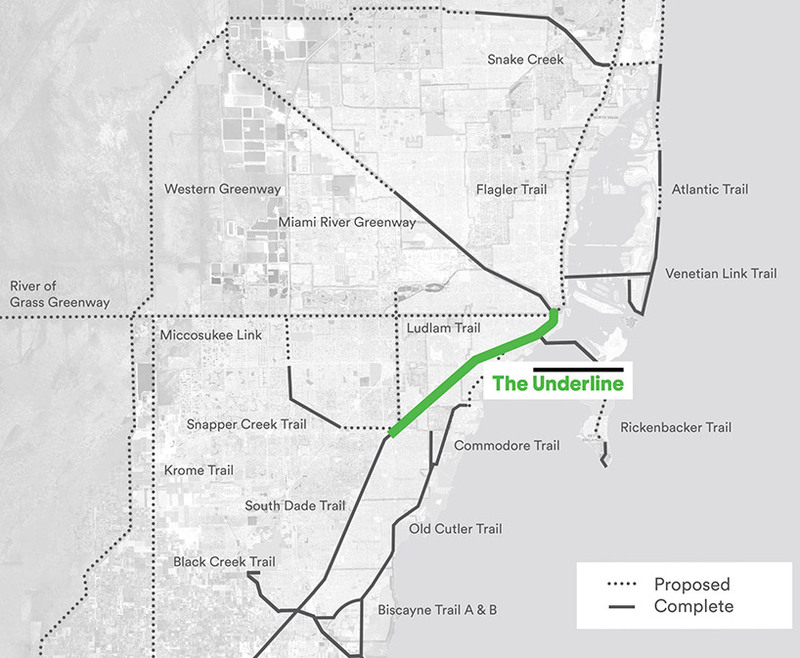 developed by james corner field operations, the underline’s masterplan will see the area of land below miami’s metrorail from brickell to dadeland transformed into a 10-mile linear park, urban trail, and living art destination. 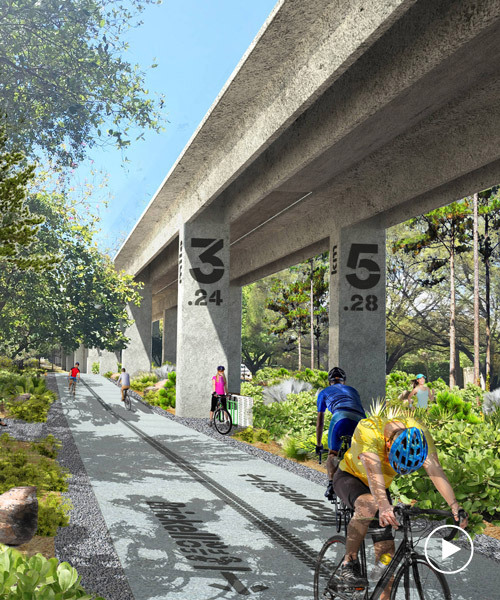 the masterplan also includes recommendations for lighting, wayfinding, seating, and amenities, as well as improvements to existing crosswalks and intersections. 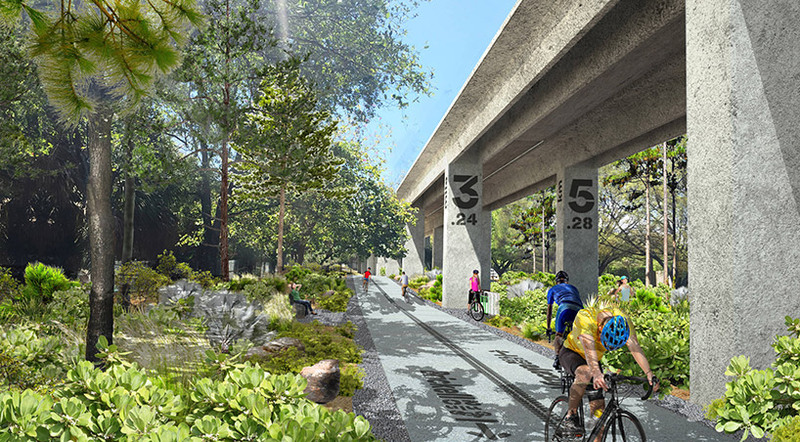 the modifications will ensure that the park is well-connected to current transit networks and serves as a gateway to adjacent communities. 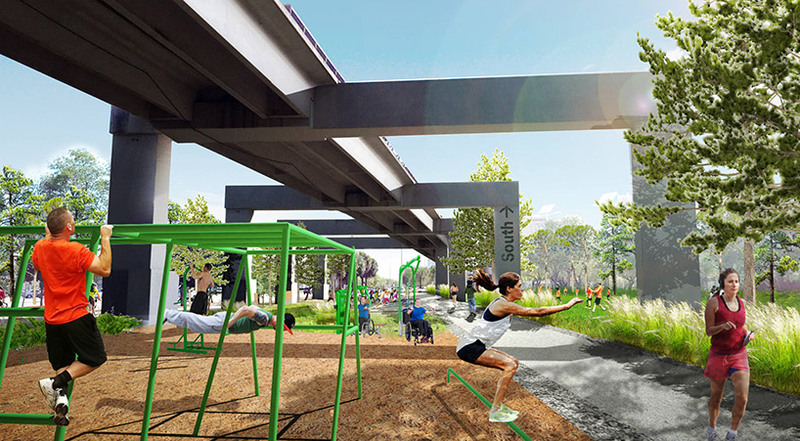 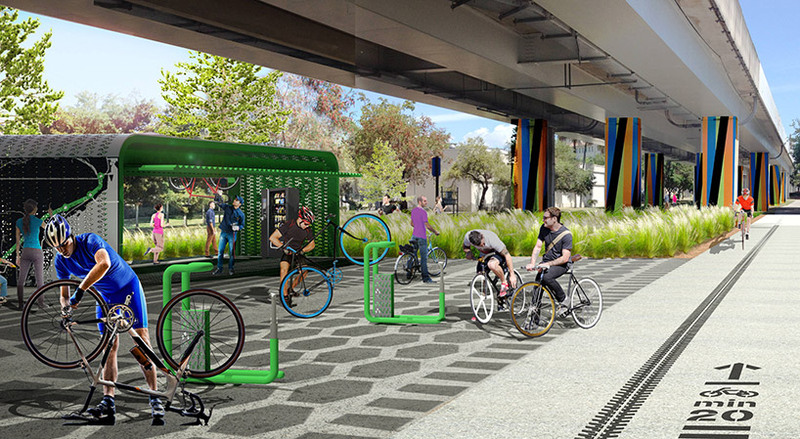 in addition to biking and walking paths, the first phase of the project proposes an outdoor gym with basketball court, a performance stage, an outdoor swing, gaming tables, communal tables, a bike parking garage, food concessions, native vegetation, lighting, and seating. 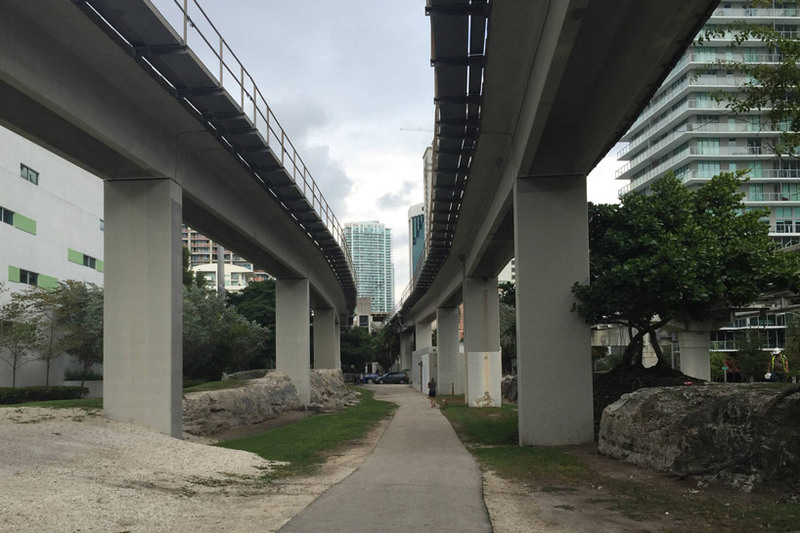 ranging from 70 to 170 feet in width (21-52 meters), the underline spans between brickell avenue, miami’s fast-growing financial district, and the dadeland south metrorail station, which serves one of the country’s highest grossing malls.